Ah, the alleys . . . It’s really a sensory experience, you know. The scent of Aqua Net on a beehive hairdo. The roar of polyester rubbing against old Naugahyde. The site of a cigarette stubbed out on a patty melt. All this plus the anticipation of placing your feet in shoes only seven thousand others have worn before you. The kids bowl on a “summer” league that started in April. It is an adventure in frustration each Thursday when Samantha laces up her rental shoes and goes to the approach. She has not bowled before other than a couple of trips to the local lanes, whereas Michael has been bowling for the past four years, throws a wicked curve and carries a 172 average at the age of 13. Sam, on the other hand, throws a wicked gutter ball and has a rapidly falling average of 52. I’ll give you two guesses as to what the team name is after you look at the title of yesterday’s post…. And I almost forget *slapping my forehead* that the lovely Jennifer Mendez has nominated me for the coveted Liebster Award (thank you, thank you, thank you!!! ), leibster meaning favorite in German. I, having an abundance of human nature, enjoy being a favorite, so I am taking this award running! This award is given to blogs with less than 200 followers so I am very well qualified! 1. Thank the person who gave you the award and link back to their blog. – done! 3. Present the Liebster award to 5 other blogs that you think deserve recognition. done! 4. Let me know by leaving a comment on their blog. – done! 5. Have faith that your nominess will continue to spread the love. – I am a woman of abundant faith! Now for some celebratory ice cream….. This entry was posted in 365 Day Photography Challenge and tagged 365 Photo Challenge, bowling, love, Michael, Sam by Cyndi the BookChick. Bookmark the permalink. It is just a crummy iPhone shot because scatterbrained Cyndi left the house without a real camera! But thank you! You have invested because iPhone is completely inferior! Though with your mad skills, you could make a silk purse out of a sow’s ear! Oh I dig this picture, Cyndi!! Cool shot 🙂 I love the bowling pins reflected on the lanes. The colors and symmetry in the photo are great. Congratulations on your award. 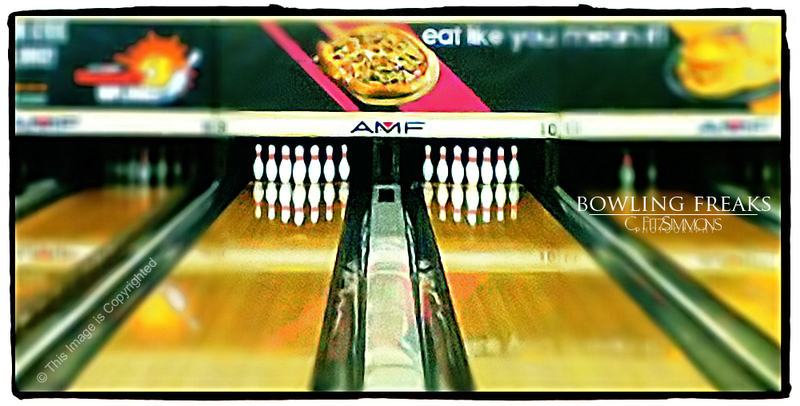 The photo is very cool; it makes me wanna og there and play some bowling, I haven’t done it in a while! Thanks for the award Cyndi, I really, really appreciate it!! I will leave all of the bowling to you and my family – I’ll just watch and cheer you all on! I am a TERRIBLE bowler! I think I’m almost caught up with you now. You have a great series of images here. I didn’t comment on each and every one of those you recently published (or even hit the like button) because I was worried about the deluge that would pour into your email inbox, but I did want you to know I looked at and admired your work.